The device is operated by one operator who inserts empty tubes or other open containers. The dosing is released with a food pedal. The operator removes filled tubes or other open containers. 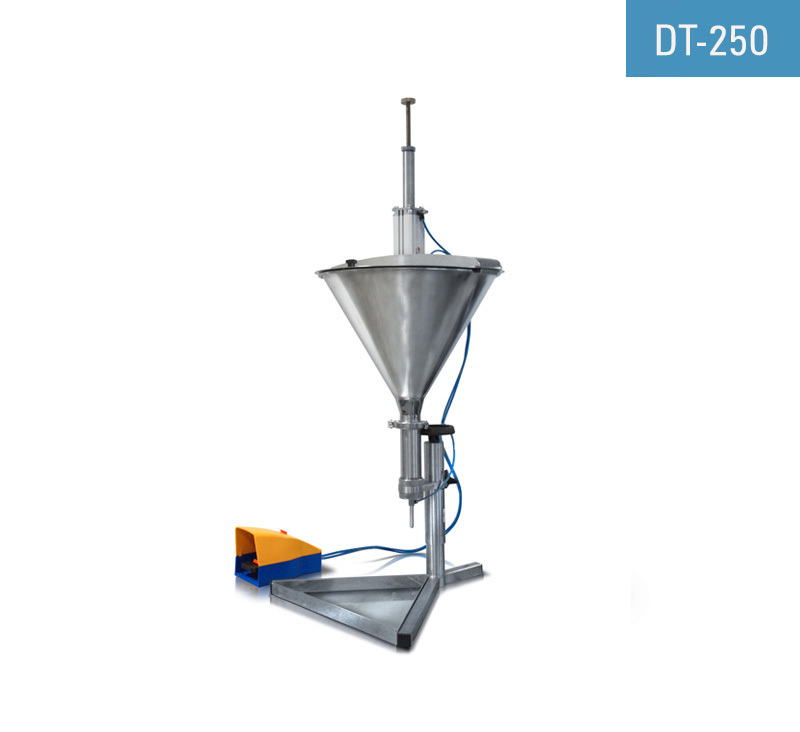 The compact pneumatic piston tube dosing machine DT-250 is used for small to medium size batches / production lots / jobs. This table-top tube filling device is widely used for regular production, producing samples or for testing purposes in laboratories / labs.